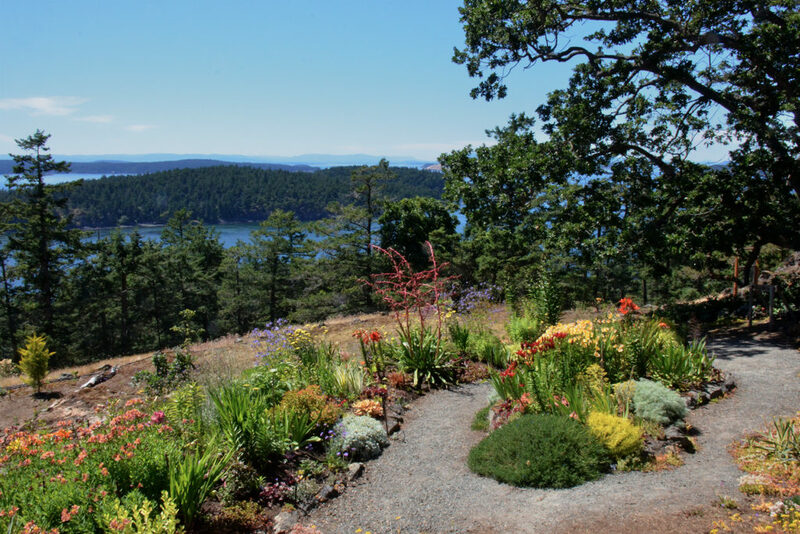 The Orcas Island Garden Club persuaded five fabulous owners to share their gardens. This is the annual fundraising activity for the Garden Club. The gardens are in top shape; obviously, thousands of hours of loving work was spent. Click on the images to see the full photo set for each garden. 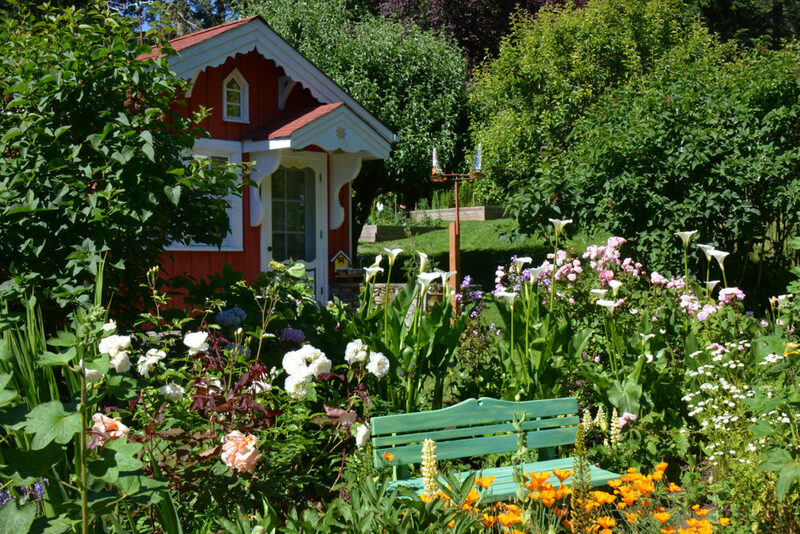 Garden A – Bruce and Marty Coffey – Even more enchanting than the magical setting are the hosts, Bruce and Marty. We enjoyed an extended visit and learned about the artist who inspired the quaint and colorful details incorporated into every cottage and garden area on their Orcas Island property — Carl Larsson. Garden B – Tom and Linda Harris – A beautiful specimen garden exhibiting a massive amount of love and work. Each plant is labeled for the benefit of the visitor. Linda knows all of the plants by their Latin names. These two are true lovers of nature and art, evidenced by what you experience at every relaxing pause in your stroll through what they’ve created. 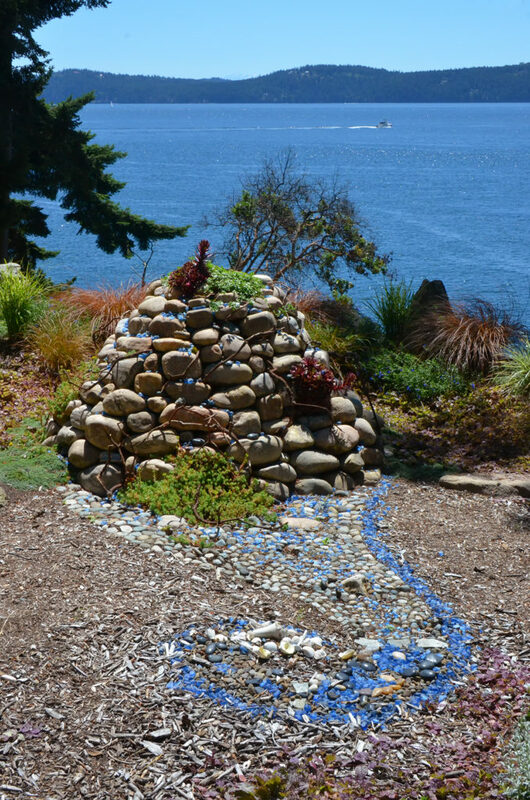 Garden C – Tamara DiCaprio – Set on a steep slope of waterfront property, Tamara has used stone, iron, glass, and succulents to create a series of stations where one can enjoy a beautiful world. 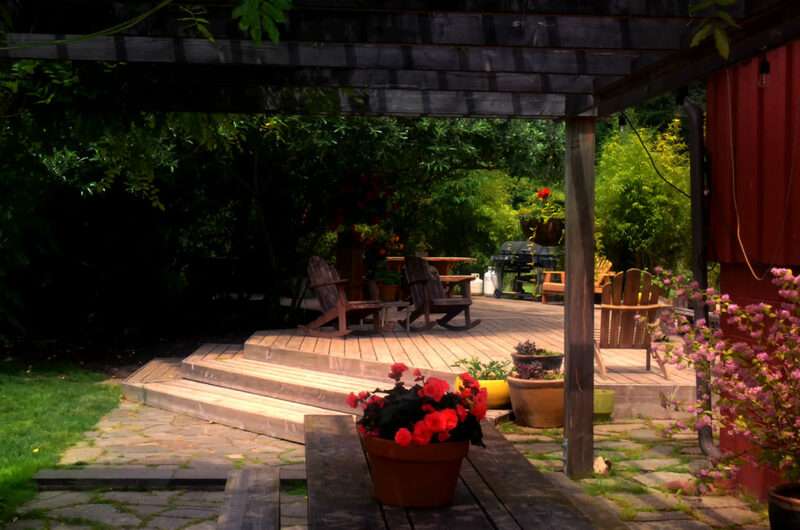 Garden D – Michael and Marie Brennan – A peaceful place. No better sanctuary for letting one’s spirit recharge. Garden E – Patty Miller and Ray Chavez – Combine flowers, vegetables, a horse lover, a master gardener. 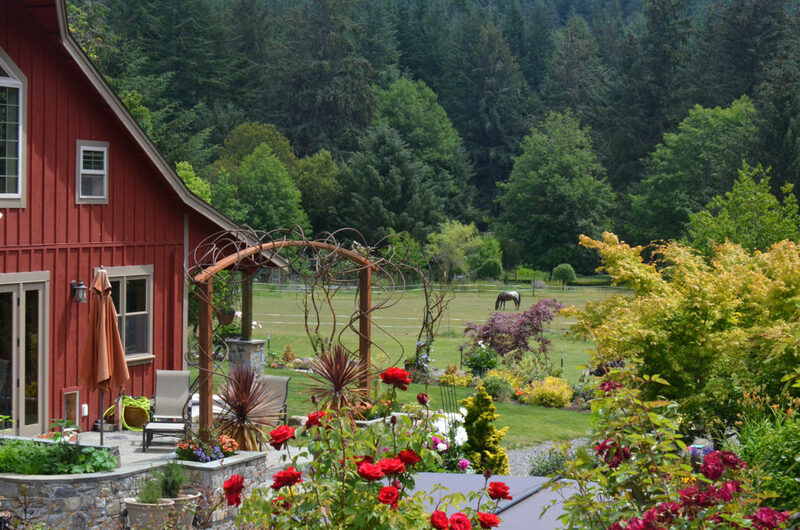 The results are a beautiful homestead and spectacular garden.